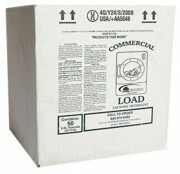 Food service, hand care, odor control, laundry, and restroom supplies. Auto & industrial, carpet cleaning, disinfectants, drain maintenance, and floor care. 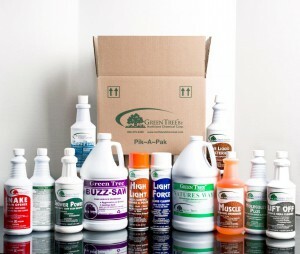 Dispensing equipment, ice melt, and insecticides. You can mix and match items to a total of 12 in a pak. To order, please call the office at 800-370-6490 or fill out the form here. Cleans and disinfects in one easy step, and effective in killing 99.9% of bacteria in 15 seconds. Formulated to aid in the reduction of cross-contamination in homes, hospitals, and industry. 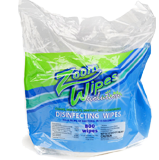 Our Zoom Wipes wall mounted dispenser is our most popular unit. Eliminates wasps, hornets, bees, etc. Sprays 15-20 feet. Multi-purpose lubricant for long lasting protection. Manufacturing hand soap that cuts through grease, oil, dirt, and grime while leaving hands moisturized. The best oven and grill cleaner you will ever work with!